12 days Golden Triangle & Kathmandu Nepal Tour Packages start from Delhi and followed by visit to rich cultural and heritage sightseeing places of north india golden triangle covering delhi agra jaipur tourist attractions and then followed by visit to some of pilgrimage and cultural tourist destinations of Kathmandu Nepal. If you are looking for more pilgrimage tourist places then one can add Varanasi in his itinerary. This tour can be customized according to budget, time scheduled, durations and destinations wise to make worth of each penny to spent. late arrival in Delhi at IGI airport and transfer to the pre booked hotel of your choice as mentioned in final itinerary. Overnight stay will be at Delhi. In the morning you will be taken to the city tour. Delhi is a place of history and rich culture. History has left various instances in this place. The historical monuments like Qutab Minar, the iron pillar and the India gate are the most well-known land marks in Delhi. 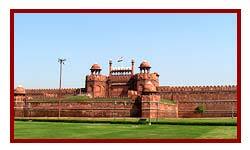 The historical risings and forts like Red Fort, Jantar Mantar, Rashtrapati Bhawan, Parliament House, Jama Mashjid, Diwan-i-Am and Diwani-i-Khas are worth watching. You will be staying overnight in the hotel. After an early breakfast in hotel drive to Jaipur en-route visit Neemrana fort ( now turn into heritage hotel ). 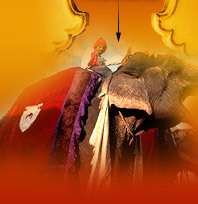 Upon arrival to jaipur check-in at pre booked hotel. Evening is free for leisure or shopping in local market. Overnight stay will be at Jaipur. Morning visit Amber Fort the ancient capital of the State. Visit the Sheesh Mahal or the Hall of Victory glittering with mirrors. 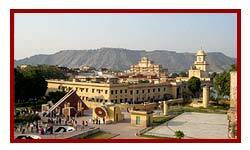 Afternoon tour of Jaipur - the capital of Rajasthan which was given a colour coat of pink a century ago in honour of a visiting Prince and ever since, it has retained this colour.Visit Maharaja's City Palace, the Observatory & Ram Niwas Gardens. Drive past Hawa Mahal & through the pink rose residential & business areas. Overnight Jaipur. Transfer to the airport for Kathmandu. Arrive in Kathmandu and stay at hotel. Sightseeing of Kathmandu city, Swoyambhunath and Patan city. Sightseeing of Pashupatinath temple and Boudhanath Stupa and drive to Nagarkot. Stay at Nagarkot. Sunrise tour at Nagarkot. Drive to Bhaktapur city and Sightseeing. Drive to Kathmandu, rest day and free for shopping. Transfer to the airport for international departure .